In September I bundled together a bunch of news and updates from my literary work in one big update, and I continue to have trouble finding time to post updates here more regularly, so time for another big round-up. 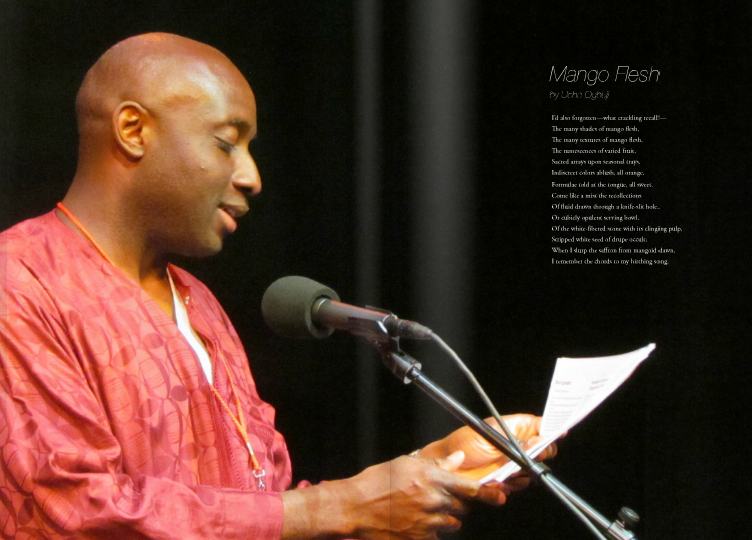 The latest issue of the lovely Scree Magazine has an interview with me, and showcases 2 of my poems "Mango Flesh" (p. 55) & "Mysteries of Harvest II" (an Igbo-themed sonnet on p. 59). There's also a summary in simpler Web form. Potomac Review had me as a featured guest blogger to write on my participation in National Poetry Writing Month. In my article I touched on the practice of writing in a marathon, and the advantages that come with community, memorization and form. One of my poems "A heart to break for longing" is up at Blind Oracle Press. It's an especially dear to me as it was my first experiment with what has become a form I call the Dialette, which has now become one of my favorite forms in which to write. I have twin poems in String Poet. A straight translation and adaptation both from “El Amor Ascendía Entre Nosotros,” by Miguel Hernandez. "Love ascended between us" and "Folly between us"
My poem "Manna in the Maxim Gun" is up in Unsplendid, tagged as "an expat ponders Nigeria's past & future." Also "Endo" in Mountain Gazette, both in print and online. It's the fifth poem on the page, a Tanka. I also posted an idiosyncratic performance piece "Annette Fu Frankie A Frankenstein Freaks!" on The Nervous Breakdown. Finally, I've contributed a poem, "Sendai Space Elevator," to New Sun Rising, a charity anthology to benefit victims of last year's Tsunami in Japan. The book is due out soon, and there is now a trailer available.